Falls are a leading cause of death in the elderly. Associated with aging is a loss of muscular strength, flexibility, and coordination. Regular exercise is widely believed to be of benefit for the elderly. 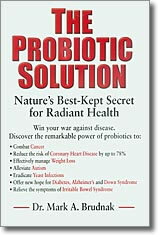 To this end, various exercise regimes have been employed to battle the associated problems of aging. One such has been the Chinese martial art, Tai Chi Chuan (TC). TC as an exercise system uses slow smooth movements to train the body in balance, endurance, and strength. For this reason, it is known as a "soft" martial art in that it is very non-impact oriented. There have been a variety of studies in the West examining the beneficial effects of TC. However, to date, there have been no studies with senior citizens using other martial arts of which, TC is but one. The present study was designed to examine the appropriateness and effects of a Korean marital art known as Tae Kwon-Do (TKD), a "hard" martial art, on an elderly population measuring similar parameters reported for TC. Results: increases in balance, strength, and flexibility were all observed. Conclusion: TKD proved effective at increasing several parameters correlated with fall prevention. The elderly are capable of participating in a hard marital art and they have an interest in it as a viable alternative to other forms of exercise. The present study suggests that TKD as a form of exercise for an elderly population is both viable and potentially popular and warrants further study. Martial arts can be defined as any of several arts of combat and self-defense (as karate and judo) that are widely practiced as sport. While the origins of the martial arts are subject to controversy, it is generally agreed that they can be traced back thousands of years. While originally developed as a means of self-defense, those motivations have given way to the sport and health-promoting aspects in recent years. At present, the martial arts are often divided into two classes or types; hard and soft. The "soft" martial arts are named so because their theory of self- defense is based on redirecting the opponent's energy / attack and using more, but less powerful punches and kicks. Tai Chi Chuan (TC), a widely practiced martial art in the East (especially China), is an example of such an art and has become increasingly popular in the West over the last decade. The "hard" martial arts, such as Tae Kwon-Do (TKD), are based on using blocks and punches that can crush bones or body parts of an enemy. The hard martial arts try to use fewer strikes and punches, but deliver significantly more power with each one. There are benefits and drawbacks of each approach but those are beyond the scope of this paper. However, both hard and soft martial arts are purported to have great health benefits. The importance of the study and practice of the martial arts to the health and well-being of the senior population is exemplified by the fact that for over twenty years, falls have been reported as the main cause of accidental death in the elderly.9 The present study is designed to measure the contribution that the Korean martial art TaeKwon-Do may have on several measurements commonly used to determine susceptibility of the elderly to falls. Additionally, the present study examines the feasibility of educating an elderly population to practice a hard martial art. Further, the appropriateness of an elderly population practicing a hard martial art is compared with that of other forms of exercise including soft martial arts. After the initial screening, it was determined that twelve of the original volunteers should continue with the study. Those final participants (FPs) were assessed by several methods for several relevant measurements. First, FPs were paired and trunk flexibility was determined according the standard protocol of the American College of Sports Medicine, 6th ed., with the following modifications. Because not all the FPs were willing to sit on the ground to for the test, FPs were allowed to stand, with straight legs, while holding a yard stick and their distance from the ground to the fingertips was recorded. This number was normalized to those who were able and willing to sit on the ground to obtain the measurements according to standard protocols. One FP recorded the measurements while the other performed the test. Next, one-leg balance was assessed. FPs were asked to stand on one foot while lifting the other off the ground just high enough to keep the foot from touching the floor. Balance time was indicated as the time until the raised foot was required to stabilize the FP by placement on the floor. This was done for each leg and recorded. If an FP wore shoes during the first round of measurements on the initial day, they were instructed to wear the same pair on the last day of measurements. If no shoes were initially worn, then the FP was instructed to again not wear shoes. Those that could not comply were excluded from data analysis. An Exit Poll was conducted as the conclusion of the study to determine several issues. The form was handed out along with an addressed and stamped envelope with the direction to fill in as completely and honestly as possible and place in mail at earliest convenience. Please fill in as honestly and completely as possible. 1. Was the instructor respectful of you? 2. Was the instructor patient with you? 3. Were directions given clearly and repeated when asked? 4. Did you enjoy the classes? 5. Do you feel the classes were of benefit? 6. Will you continue to practice what you have been taught? 7. Would you continue with classes if a fee was required? 8. Would you continue with classes if NO fee was required? 9. Do you feel any different (in any way, shape or form) from having taken the classes? Please feel free to write any additional comments below. The results of the study provided interesting. First, the initial drop out rate was 50%. Those FPs that dropped out of the study, did so after the first class. The first class consisted of taking the necessary measurements and a brief explanation of what would be covered in the subsequent weeks. After the second week, the retention rate was over 90%. While not all participants were able to be tested, it is believed that since the ones that attended > 85% (according to attendance records) of the time did get tested, that the numbers obtained are truly reflective progress that can be expected from senior citizens learning a hard martial art such as TKD. 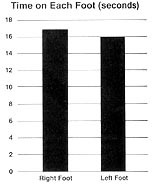 Figure 1 shows the average increase in the number of pushups the students were able to do as measured from the beginning of the study to the end. Participants were directed on the first day of the study to determine the maximum number of pushup that each participant could do in 30 sec. For those that could not bend well enough to do them from the floor, they were done against a wall at a known distance (toes) from the wall. Subsequently, on the second analysis at the end of the experiment, participants were directed to use the exact same distance from the wall for their pushup counting. As can be, the average increase was 1.8. This is an interesting number because at no time during the seventeen weeks of instruction did the participants do pushups of any form. This suggests that the overall strength and conditioning of a TKD program, can transcend the exercises that are practiced to have an effect on other areas that may influence health and well-being., such as fall prevention. This will be discussed further below. Figure 2 represent the average change of trunk flexion. Study participants were directed to measure the distance of trunk flexion as outline according to the ACSM'S GUIDELINES FOR EXPERCISE TESTING AND PRESECRIPTION. Sixth Ed.1 Briefly, participants sat on the ground with legs extended directly and fully forward. A yardstick was placed between the legs with the 15" mark at the sole of the feet and the 0" towards the trunk. Participants then bent forward and noted the distance on the yardstick that the fingertips reached to. This number was recorded and plotted. The Y-axis show the distance change on average for the participants from the beginning to the end of the study. The x-axis represents the cumulative participants as one group who finished the study (those attending the class > 80% of the time). 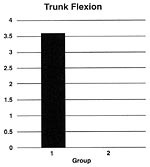 The average increase in flexibility at the trunk, as seen in Figure 2, was just over 3.5 inches. As with the pushups, at no time did the students directly practice this. The increase in flexibility is due to the overall conditioning program. Considering that the participants only came to class once a week, as opposed to the two, three, or more classes usually attended by students of the martial arts, this number is very striking. This will be discussed in more detail in the Discussion section. In Figure 3, the balancing time on each foot was recorded as an average change for the entire class. For both feet, the average change was positive. For the class as a whole, there was a net increase after the seventeen weeks of instruction. The average increase in time the participants were able to balance on their right foot was just over sixteen seconds. The average increase in time the participants were able to balance on their left foot was just under sixteen sections. Most of the participants were right handed and usually the right leg is considered the one with poorer balance. A greater increase in the balance time for the right foot vs. the left foot is consistent with what will be discussed below about the anticipated results from a more sedentary population. The exit poll (above) was given at the end of the seventeen week testing period. While subjective, anonymous exit polls that were mailed in, indicated that 90% will probably continue the exercises, 100% felt their time was well spent, 10% will seek further instruction if a fee is require, and 50% would seek further instruction if provided pro bono. While the subjects found no major errors with the instruction, almost 50% said they would like to try Tai Chi Chuan in the future and had expected TKD to be more like what they have seen in popular commercials. The results presented strongly suggest that a hard martial art has several benefits to an elderly population. First, Figure 1 demonstrates an increase in the average number of pushups the class could do. This is especially important because, as stated in the results, no special instruction or exercises were done to promote pushup ability. This suggests that TKD conditioning can have an overall positive effect on the body's health, as measured by pushup ability. This overall increase in strength may be translatable to fall prevention. It is known that muscular strength, coordination, and balance all contribute to falls and fall prevention. Second, Figure 2 demonstrates and increase in overall flexibility as indicated by trunk flexion. While the increase in flexion is not overly dramatic, it is still significant enough to be of clinical interest. An increase in flexion correlates with an increase in muscular control. This may also contribute to a decrease in fall rate. 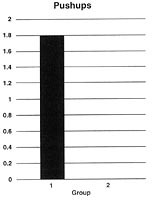 Third, Figure 3 indicates a beneficial effect in balance as measured by the one foot balance test. This is particularly important in light of the fact that the leading cause of accidental death in senior citizens results from falls. This was the only part of the study where on a weekly basis. Since this is the area of greatest gains, it is anticipated that if other parameters were measured that were also practiced as often, similar positive benefits would be accrued. For instance, punching drills were a routine portion of each class. It would be of interest for future studies to measure hand speed. One of the aims of the present study was to determine the feasibility of teaching an elderly population to practice a hard martial art. This question was address by and apparently answered by the participants progresses being discussed with one of the authors of the study who is a 5th degree black belt. It was decided that rather than test after the seventeen weeks of the study, the students would be offered an opportunity to continue with their TKD studies at a different time. Of those students, only one has at present chosen to continue and will go on to receive private (gratis) instruction from the primary author. Another goal of the present study was to determine the appropriateness of an elderly population practicing a hard marital art vs. a soft martial art. While this is very subjective, it can nonetheless be addressed by considering both the dropout rate and the fidelity during testing as evidenced by retention rate. While the initial dropout rate after the introductory class was comparatively high, the dropout rate over the entire course of the study was extremely low. Of those that originally initiated the study, 20% follow through to the point of completion (completion being indicated as having been tested twice). While that may seem low, over 90% of the class attended more than 85% of the classes. That is a very good percentage for a class like this. The reason the testing/completion rate was low is that the testing time was during midsummer when most American go on vacation. In deed this was the reason that most of the FPs were not tested. Also, while subjective, anonymous exit polls that were mailed in, indicated that 90% will probably continue the exercises, 100% felt their time was well spent, 10% will seek further instruction if a fee is require, and 50% would seek further instruction if provided pro bono. An interesting fact is that those that completed the study, 100 % attended more than 85% of the classes. They would typically be classified as the "serious" students. While these students did not go on to take part in a formal testing for rank advancement, they were nonetheless assessed periodically for their ability to perform various required tasks such as three step sparing and four direction punching. It was noted that during the later weeks of the study, the students could progress quickly into the required physical tasks. That was in sharp contrast to the early weeks of the study where the participants required constant verbal and physical assistance to perform an exercise. In the later weeks of the class, there was a brief "refresher" period required until they were able to perform the given task at hand. This was true for each of the exercises. It appeared that this refresher period was shorter and shorter each week, but no data were collected to support that empirical observation. Future studies should include this aspect in the parameters measured. Taken as a whole, the present study demonstrates several interesting points. First, an elderly population can learn the martial art of TaeKwon-Do. Second, there is a desire in an elderly population to warrant teaching them TKD. TKD may be able to contribute to overall health of an elderly population. Such contributions may result from better balance assisting in fall prevention. Better muscle tone and coordination my also assist in fall prevention. It is obvious that a large number of further studies are warranted in this area. These studies should include, but are not limited to, such things as fall prevention, cardiovascular health, cholesterol levels, stroke, bone density and breakage, mental health, mental acuity, and life-span. Additionally, it should be noted that a once a week class schedule, meeting for an hour each time, is insufficient to efficiently teach TDK. While the students certainly made progress, had they been taking two or three classes a week, which is usual for the system the authors are trained in, they would have excelled even further and been able to test for a higher belt rank at the end of the study. The time limitation was set by the FPs themselves as in order to recruit volunteers, a poll was taken as to availability for the majority. Most fell within a one hour time span on a Thursday morning. Why that time was vacant, is not understood but probably involves the schedule of activities at the Senior Center from which they were recruited. Along with the periodicity, the rate of progress may be, at least in part, a function of cognitive ability. It was noted by the primary author that the students had problems remembering not just how to perform certain moves, but also the sequence of consecutive or combined movements. This would be an extremely interesting area to explore and should be pursued in future studies. It is of interest that several of the FPs on the exit poll had commented that they noticed that TKD had helped them in their concentration. While subjective, it is anticipated that should cognitive assays be performed in the future, similar improvements, to the ones seen in the physical assays, would be observed. Also, it is of interest that at the beginning of the study, several other parameters were to be included, such as blood pressure, heart rate (resting and active) and sit-ups. With an hour long class and an initial 27 students, that proved impossible due to time constrains. Also, many of the participants were not physically capable at the introduction of the class to complete a push-up or sit-up (most refused to sit on the floor). Along with that, much for the initial half hour of warm-up/stretching exercises usually performed by students in the TKD system had to be modified. There was absolutely no sitting on the floor to stretch out any portion of the legs or back. Instead, the primary author had students do very similar exercises by either sitting in a chair or placing their legs on the chair. Examples include sitting on the chair and twisting the torso from side to side for 20 seconds each side, repeated several times. Placing one foot on the opposite knee and bending forward while holding that position for 30 second, repeated several times. A more detailed list can be supplied on request but, again, they were all modifications of the usual exercises done by a standard class in the TKD association of the authors. It should be noted that the results reflect a comparatively active population. It would be interesting to sample two populations in the future. The first would be a relatively sedentary population. The second would be a relatively active population. It is hypothesized that the gains seen, if normalized for attendance, would be greater for the sedentary population. This is because the is a point of diminishing returns in any exercise program and the active population would be closer to that point than the sedentary population. Taken as a whole, the present study answered the questions it set out to ask. Can a senior population be taught a hard martial art? The answer is yes, with the qualification that progress may be limited by their schedules, physical abilities, and mental capacities. Is a hard martial art of benefit to the same population? The answer is again "yes" as indicated by the increases in strength, flexion, and balance. The major weakness of the study was that there was no negative control group. Initially, a negative control group was recruited along side of the active group. However, 100% of the negative control group dropped out of the study after the first day. This obviously presented a challenge and the decision was made to continue the study and note any differences in the experimental group. It is anticipated, armed with the knowledge of this tendency in the sampled population, different strategies could be devised to incorporate better control. However, the authors believe that there is still merit in the study as done and look forward to subsequent studies. 1. ACSM'S GUIDELINES FOR EXPERCISE TESTING AND PRESECRIPTION. Sixth Ed. Editor Barry A. Franklin. 2000. Lippincott Williams & Wilkins. Philadelphia. ISBN: 0-683-30355-4. 2. Yan JH. chi practice reduces movement force variability for seniors. J Gerontol A Biol Sci Med Sci. 1999 Dec;54(12):M629-34. 3. Ross MC, Presswalla JL. The therapeutic effects of Tai Chi for the elderly. J Gerontol Nurs. 1998 Feb;24(2):45-7. 4. Hong Y, Li JX, Robinson PD. Balance control, flexibility, and cardiorespiratory fitness among older Tai Chi practitioners. Br J Sports Med. 2000 Feb;34(1):29-34. 5. Kessenich CR. Tai Chi as a method of fall prevention in the elderly. Orthop Nurs. 1998 Jul-Aug;17(4):27-9. 6. Henderson NK, White CP, Eisman JA. The roles of exercise and fall risk reduction in the prevention of osteoporosis. Endocrinol Metab Clin North Am. 1998 Jun;27(2):369-87. 7. Lan C, Lai JS, Chen SY, Wong MK Tai Chi Chuan to improve muscular strength and endurance in elderly individuals: a pilot study. Arch Phys Med Rehabil. 2000 May;81(5):604-7. 8. Lan C, Chen SY, Lai JS, Wong MK. The effect of Tai Chi on cardiorespiratory function in patients with coronary artery bypass surgery. Med Sci Sports Exerc. 1999 May;31(5):634-8. 9. Overstall PW, Johnson AL, Exton-Smith AN. Instability and falls in the elderly. Age Aging. 1978;Suppl:92-6.